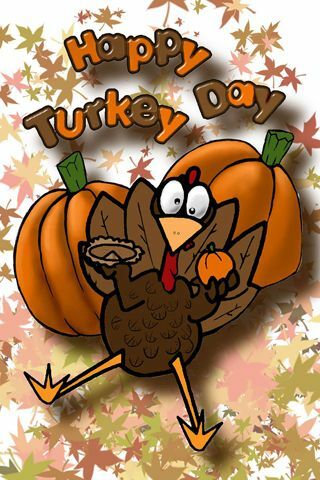 I wanted to wish all my favorite people in the blogworld a very Happy Thanksgiving. I am so thankful for everyone who takes time to read and comment on my blog. If you are traveling please be safe and enjoy your time with loved ones. We are staying home and I am going to prepare a big feast with the girls. We are doing the same traditional meal like we do every year since I always get outvoted. Don't be surprised if I post photos! I am also preparing for Black Friday with Dwayne. We have our list made out of what we need from each store. I plan to pack snacks and bottled water just in case. We are keeping things simple and are mostly buying necessities although I do have Keurig on my mind (hint hint)...I'll even take the cheaper model. We were lucky last year that it was not as crowded as we thought it would be so let's hope it works out that way this year. I can't wait! Are you brave enough to hit the streets on Black Friday? I hope you and your wonderful family have a fantastic Thanksgiving. We are staying home as well, having the big turkey dinner. We are also going out for Black Friday, and hoping to get some great deals. I am with ya on the Keurig... :)so want one of those! Have a great time with your family, I enjoy your blog and am thankful you take the time to write it. Yes you have a feast to prepare! FUnny, you're going armed & dangerous packing water etc. We've went out Black Friday the previous years but that was when my mom was over. She will not be here this Friday so we'll chill and eat left overs. Enjoy Shelly if I don't talk to you before then. I am not brave enough, Shelly! LOL!!! But good luck and enjoy! Happy Thanksgiving, Sheliza, to you and your family as well. Wishing y'all nothing but the best & I am not looking forward to being dragged to the stores at 5 o' clock in the morning. Lol. Although I am looking forward to the wonderful deals.